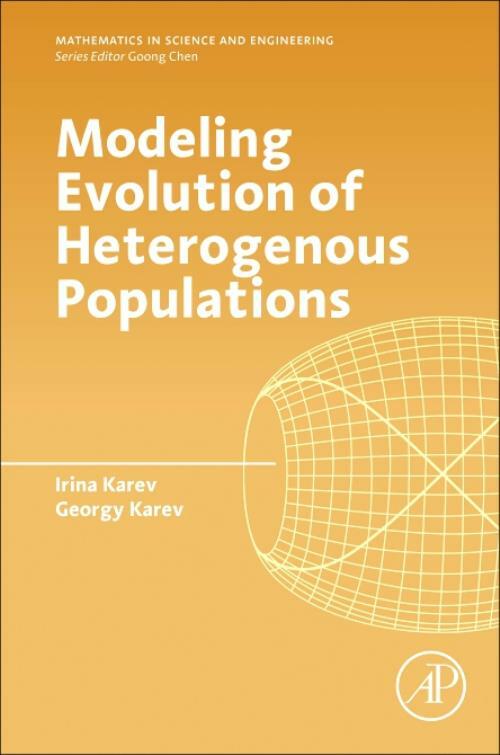 Modeling Evolution of Heterogenous Populations: Theory and Applications seeks to address the gap that exists in the science, thus helping biological scientists model the evolution of heterogenous populations and visualize evolutionary trajectories. In a vast majority of conceptual, and often even descriptive mathematical models of population dynamics, whether it be predator-prey type models, spread of infectious diseases, or tumor growth, population homogeneity is the first assumption made. As natural selection and evolution cannot act on any population that is not genetically heterogeneous, this book tries to sew these realms together. Dr. Irina Kareva is a theoretical biologist, and the primary focus of her research involves using mathematical modeling to study cancer as an evolving ecosystem within the human body, where heterogeneous populations of cancer cells compete for limited resources (i.e., oxygen and glucose), cooperate with each other to fight off predators (the immune system), and disperse and migrate (metastases). Thinking about the disease from an ecological perspective has the power to change how we approach cancer treatment. Dr. Kareva is a Senior Scientist in Simulation and Modeling at Merck Serono,Darmstadt, Germany, where she develops quantitative systems pharmacology (QSP) models to understand and predict the dynamics of drugs in the fields of oncology, immuno-oncology and immunology. In 2017 Dr. Kareva gave a TED talk on using mathematical modeling for biological research. Dr. Kareva's book "Understanding cancer from a systems biology point of view: from observation to theory and back" was published by Elsevier in 2018. Dr. Georgy Karev has significant research experience in various fields of applied mathematics, mathematical modeling, and mathematical biology. He has worked in computational biology and bioinformatics, modeling of genome evolution, Markov models, mathematical genetics, modeling of dynamics of biological populations and communities, ecological modeling. Dr. Karev has developed three new directions in mathematical biology: 1) theory of inhomogeneous population dynamics with applications to models of early biological evolution, population extinction, models mathematical genetics, global demography, and ecology; 2) stochastic modeling of population size dynamics; and 3) theory of multi-dimensional structural models with applications to hierarchical models of complex biological systems. Dr. Karev is a member of the Evolutionary Genomics Research Group at NCBI. His current research is devoted to problems of computational biology including genome evolution, free-scaling networks, evolution of horizontally transferred genes, conceptual cancer models, replicator dynamics, and general theory of selection.